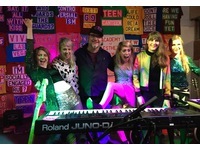 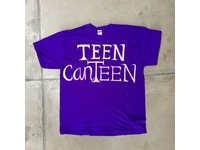 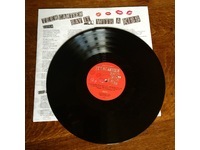 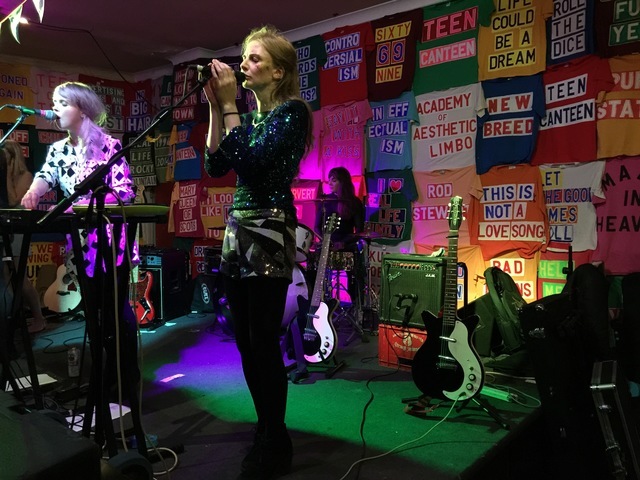 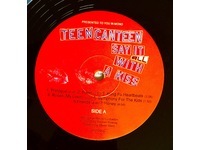 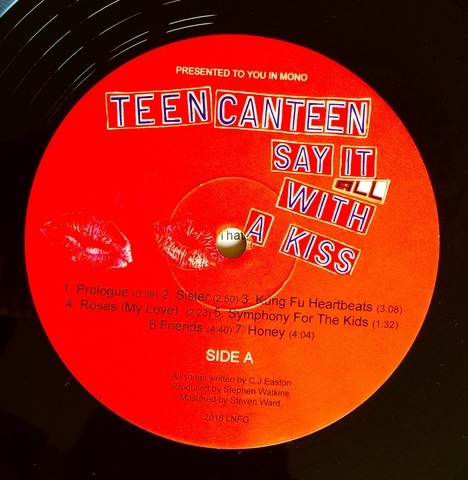 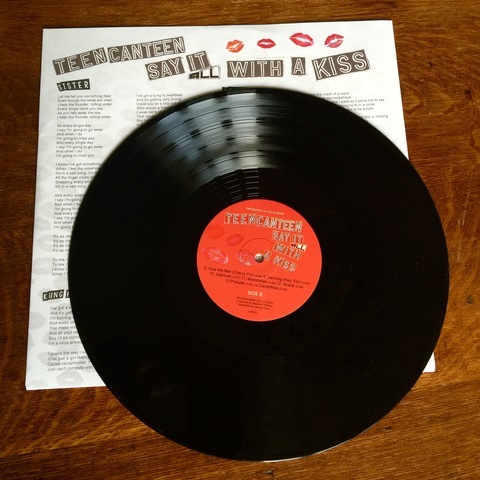 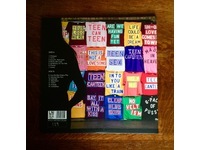 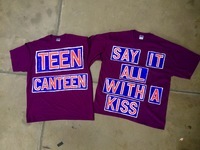 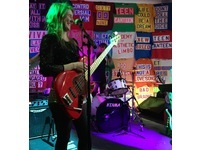 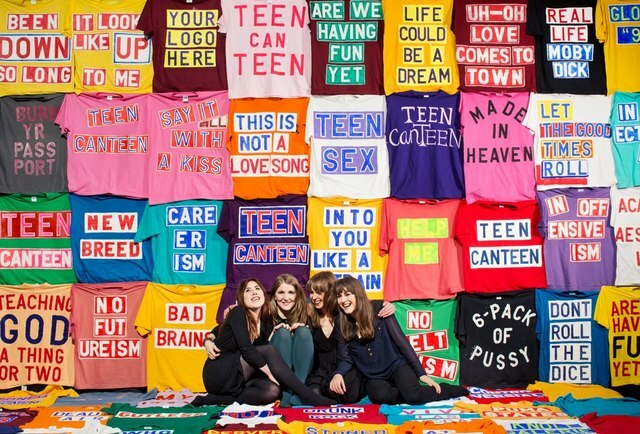 Cover Art for debut album by 'Teen Canteen – Say It All With A Kiss'. 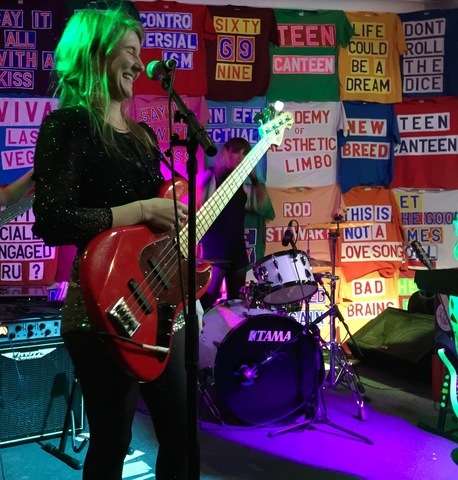 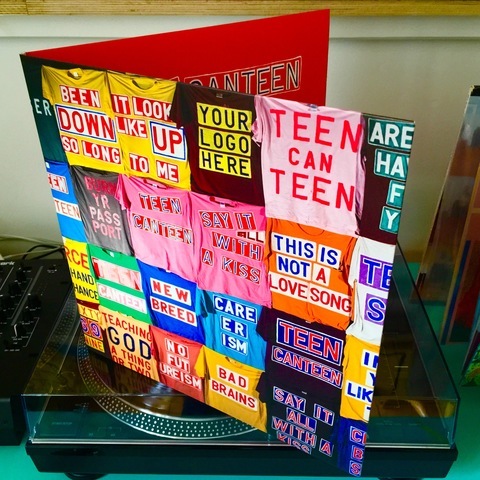 Teen Canteen leader and main songwriter Carla Easton completed MFA at GSA some years ago where I had a couple of tutorials with her. 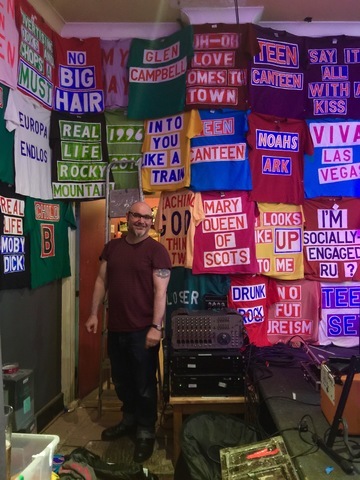 We have kept in touch and over the past few years we have made collaborative installation/performances (e.g Poetry Club 2013). 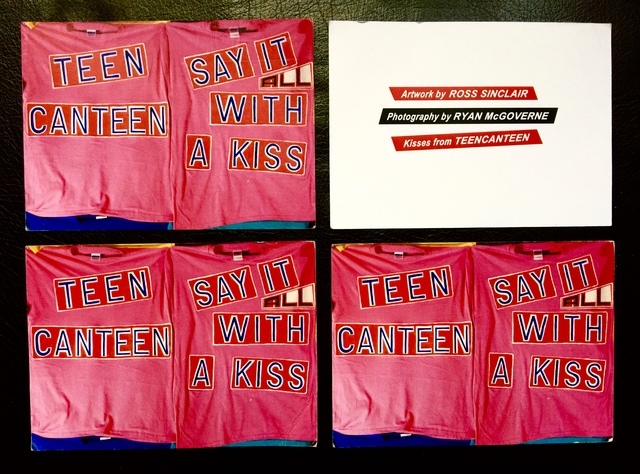 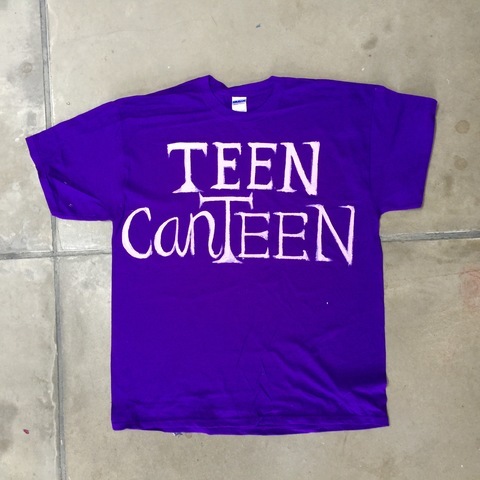 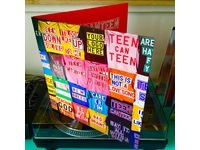 This is a Design of the Teen Canteen debut album cover using an image from a new version/ installation of my project T-Shirt Paintings 1993 – 2016. 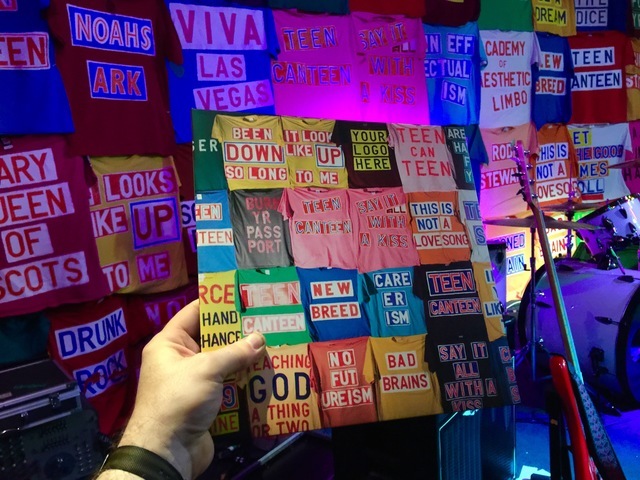 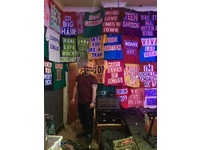 Gatefold Sleeve with temporary one night only installation of T-Shirt Paintings 1993 – 2016 at Mono on night of Album launch, 8 Sept 2016.